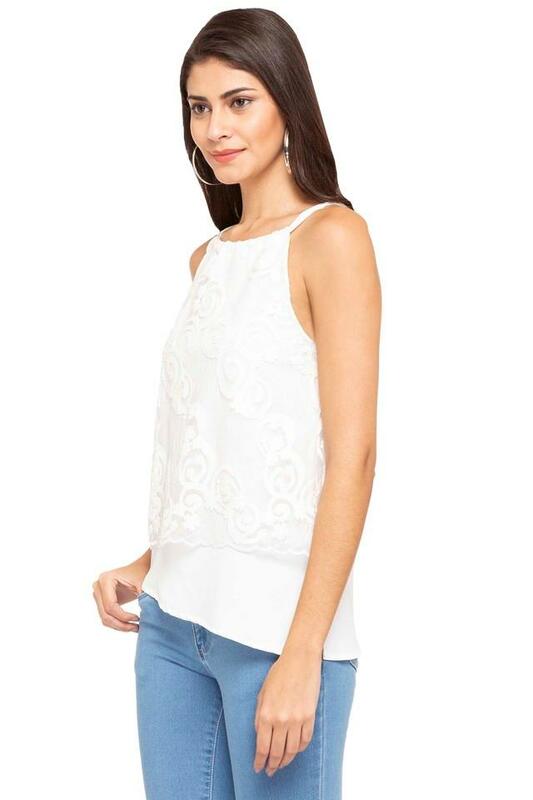 For every fashion connoisseur, the famous clothing brand, Latin Quarters brings this top. It has been crafted with care using fine quality fabric that will give it a nice shine. Besides, featuring a strappy neck, it also comes with a lace pattern that lends it a stylish look. 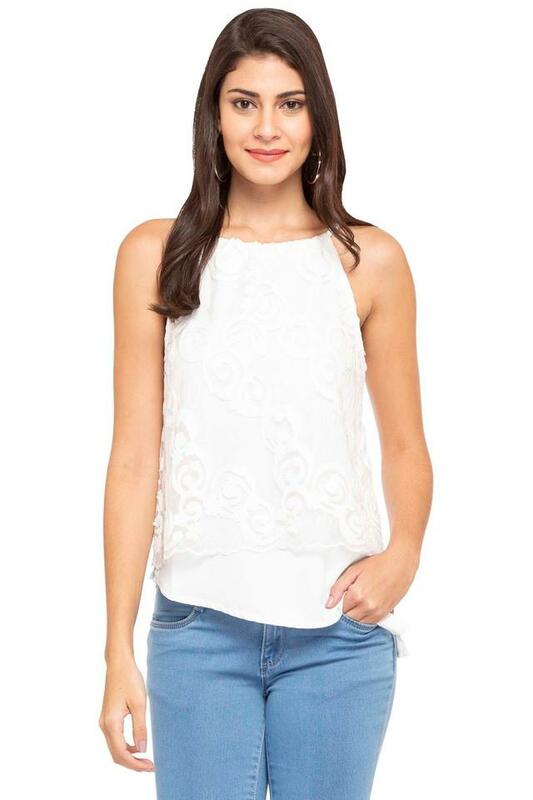 Revamp your fashion statement by wearing this trendy top. Club it with a pair of pencil pants and slip on sandals to complete your favourite look for casual occasions.